You are here: Home / Food / Can Cats Eat Yogurt? Can Cats Eat Yogurt? And if they can, should cats eat yogurt for their health? Or is yogurt bad for cats in reality? Let’s find out! Many people want to know whether cats can eat yogurt. You may have heard that most cats are lactose intolerant, but if that’s true then why is yogurt recommended for cats with digestive problems by some people? How can a cat be lactose intolerant if yogurt is good for them? If you’re confused, it’s not surprise. But don’t worry – we’re here to clear things up for you! What type of yogurt can they eat? Does yogurt really contain nutrients that are good for cats as well as humans? Kittens can digest lactose because they rely on their mother’s milk to survive. But as they get older and there is no longer a need for them to consume milk they stop producing the enzyme which enables them to digest. As a result, many cats go on to become lactose intolerant. Popular culture is full of images of cats lapping up milk or snacking on cream. But in reality a lot of these foods can cause your cat a multitude of problems. There is also no real need for cats to have milk at all. Animals are natural carnivores and most of their diet should consist of meat. Milk doesn’t contain many health benefits when a cat grows out of the kitten stage and, in the wild, cats wouldn’t continue to consume milk into adulthood. Yogurt is a dairy product, but it contains ‘good’ bacteria which makes it easier for cats to digest than other dairy products. They still shouldn’t eat a lot of yogurts, but they are able to eat a small amount now and again. When a cat is young they will produce enzymes which break down and digest lactose (this is necessary as they are mammals and they will drink mothers milk), but as they get older their body will produce less of this enzyme and they will start finding it harder to digest lactose. 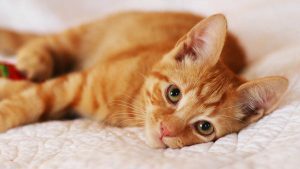 When the cat reaches twelve weeks they start losing the ability to produce the enzyme lactose and they may eventually lose the ability to process milk altogether. Many cats grow up to be lactose intolerant and they may get an upset stomach if they have too much milk, cheese or cream. 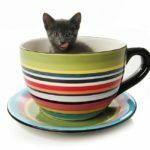 Whilst the image of a cat drinking saucers of milk and cream is very popular, in reality, that much milk could give the cat diarrhea and other digestive issues. Lactose intolerance in cats is similar to lactose intolerance to humans and it causes the same problems. However, not all cats have a problem with lactose, and some cats can drink small amounts of milk without any problems. Milk doesn’t really have any health benefits for cats, but a small amount won’t hurt if their bodies can tolerate it. Yogurt contains natural bacteria live bacteria cultures called Streptococcus thermophiles and Lactobacillus bulgaricus which are able to break down lactose in lactic acid. 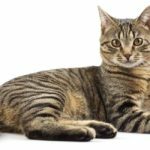 Seeing as the lactose, which is the part of milk that most cats are unable to digest, has been turned into lactic acid the cat should be able to digest the yogurt without any issues. 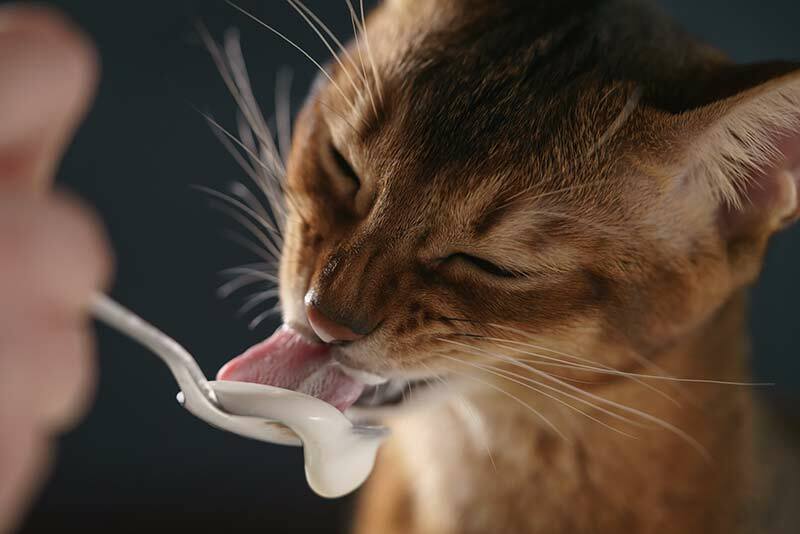 Many cats love yogurt, but some cats don’t. You can tell pretty quickly if your cat does or doesn’t like yogurt because if they don’t like it they’ll avoid eating it. If your cat has never eaten yogurt before then try feeding them a small teaspoon of plain yogurt and see if they like it. 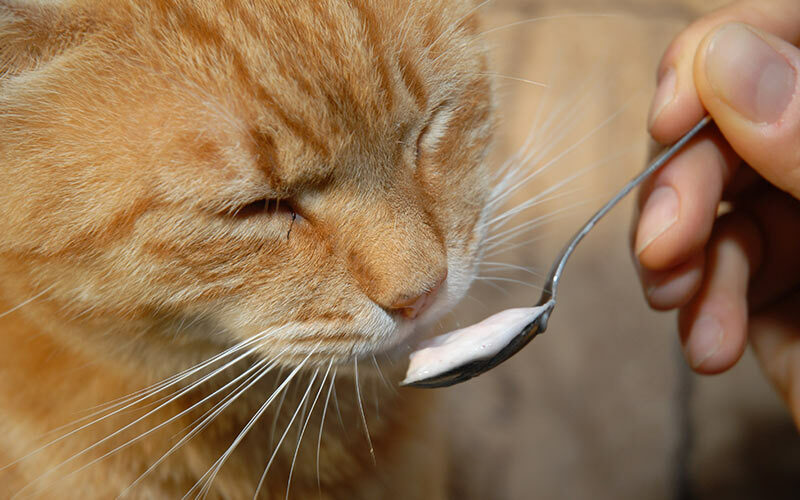 Your cat may prefer flavored yogurt over plain yogurt, but flavored yogurt isn’t a good choice because it is either high in sugar or artificial sweeteners, both of which are bad for your cats health. Yogurt contains potassium, calcium, and magnesium, all of which are beneficial for humans and cats alike. Calcium is well known for its ability to strengthen bones, and magnesium is important because it helps your cat absorb important vitamins and proteins. However, your cat should already get all of these things from their complete, approved food. Yogurt also contains ‘living cultures’- i.e. healthy bacteria – which can be beneficial for your cat’s immune system as well as their digestive system. Yogurt also contains important B vitamins which can help keep them healthy. The probiotics and active cultures in yogurt are potentially beneficial for your cat’s digestive and bowel health. Small amounts of yogurt can possibly be used to treat some causes of diarrhea and other digestive issues. However, further study is required in this area to confirm exactly which probiotics are beneficial to which species. Can cats eat yogurt safely? Many cats are lactose intolerant, but they should still be able to consume small amounts of plain yogurt. Small amounts of plain yogurt should be safe for your cat to consume, but avoid any yogurt which has been flavored with sugar or artificial sweeteners. Some cats cannot eat yogurt because they are allergic, so it’s a good idea to check with your vet before introducing it to your cat’s diet. Make sure that the yogurt is in date, that the cats bowl is clean and that you don’t give them too much yogurt. Some cats are allergic to yogurt and, if they do eat it, they will suffer from stomach upsets or other problems. 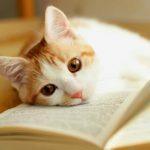 You may want to consult your vet before feeding yogurt to your cat and, when you first introduce yogurt into your cat’s diet, you should start off with very small portions and keep a close eye on them to make sure they are okay. Unflavoured Greek yogurt should be fine for cats to consume in small quantities, although ideally, the yogurt should be full of live cultures and healthy bacteria and so you may want to try a few different brands to see which one is best for your feline friends. Avoid flavored Greek yogurt and check the ingredients for anything artificial. Vanilla in itself isn’t toxic for cats and they are able to eat small amounts of it. But many cats won’t like the taste of vanilla and so they may not wish to eat it. However, vanilla yogurt is likely to contain vanilla flavoring which may contain other ingredients that are bad for your cats. Vanilla extract can contain ethanol which is toxic to cats and can cause symptoms like drowsiness, involuntary defecation, hypothermia and even heart attack. The vanilla extract in yogurt may well be alcohol-free, but vanilla yogurt also tends to contain sugar and/or sweeteners which could be dangerous for your cat’s health. We would not recommend vanilla yogurt for cats because, whilst a small amount is unlikely to cause any problems, it isn’t particularly good for your cat and you don’t know exactly what is in the yogurt. Strawberries are nontoxic for cats, but they don’t contain many health benefits for cats and they are quite high in natural sugar so too many regular strawberries may cause stomach problems. Strawberry yogurt it likely to contain a lot of sugar, and this sugar is likely to upset your cats stomach and cause other health issues. Strawberry yogurt may also contain additives which could be harmful to your cat’s health. If you want to give your cat yogurt it should ideally be plain. Sugary Yogurt at best may upset your cat’s stomach due to its high sugar content, and at worst any other ingredients could make your cat really sick. Most cats won’t find strawberries that appealing and they may refuse to eat them, but if your cat does like the odd strawberry now and again you could always feed them a small amount of plain yogurt with a few strawberries for flavor. Blueberries are a human ‘superfood’ because they are low in calories, high in fiber and they contain many vitamins including vitamins A, C, E and K.
Blueberries also contain essential minerals such as potassium, iron, and manganese, plus they are antioxidants and they can help keep us and our bones healthy. Cats wouldn’t necessarily choose to eat blueberries in the wild, but a small portion of blueberries is safe for them to eat and they may have similar health benefits for cats that they do for humans. Some cat food companies are even adding ‘blueberry extract’ in their pet food because it works as a natural food preservative without all the synthetic properties which can be bad for your cat. Blueberry yogurt, however, is not a good idea for cats because it is likely to have a high sugar content that can upset the cat’s stomach. Flavored yogurt also often contains additives and preservative that could be really detrimental to your cat’s health. Plain yogurt may not appeal to your cat, so rather than feed them flavored yogurt why not give them natural plain yogurt with a few fresh blueberries so they still get the nice taste without the additional sugar. Don’t give them too many blueberries, however, as even in their natural state they do contain sugar and too many could upset your cat’s stomach. Cats are natural carnivores and most of their diet should be made up of meat, but a handful of blueberries with a bit of yogurt can be a nice, healthy and safe treat. Kittens can produce the enzyme lactose because they drink mothers milk for the first few months of their lives, so they are able to digest milk better than adult cats. However, you need to be very careful what you feed your kitten as they are still growing and developing. Kittens should be able to eat a small amount of yogurt as long as it is plain and does not contain artificial sweeteners. However, that said we wouldn’t advise giving them any. It won’t have any additional nutritional benefits, and may upset their delicate new stomaches. Plain yogurt can be used to treat a cat’s upset stomach or help them deal with antibiotics, but it also makes a delicious treat. You shouldn’t give your cat too much yogurt, and it certainly shouldn’t be consumed every day, but you can let your cat finish the odd yogurt pot or put a couple of spoonfuls in their food bowl. Cats can consume small amounts of fruit, so if your cat likes a particular fruit you can pop a few pieces in a bowl with a small amount of yogurt for desert once in a while. Many cats grow up to be lactose intolerant, but they should still be able to consume small amounts of yogurt because yogurt contains live bacteria which helps the cat break down and digest the milk. Yogurt can also potentially in some cases be used to sooth a cat’s upset stomach and to help them recover from an illness. If you want to feed your cat yogurt you have to make sure it is plain and does not contain sugar or artificial sweeteners. Steer clear of flavored yogurt. Yogurt can be really beneficial in small doses, but some cats may be allergic to yogurt and others may not like it. Make sure that you make decisions based on your own cat. Yogurt and other treats should make up less than 10% of your cats diet and they shouldn’t be consumed every day. Most of your cats diet should still be made up of good quality meat/cat food. Grant Guildford, W et al. 2001. Food Sensitivity in Cats with Chronic Idiopathic Gastrointestinal Problems. Journal of Veterinary Internal Medicine. Grzeskowiak, L et al. 2015. Microbiota and probiotics in canine and feline welfare. Anerobe. Verlinden, A. et al. 2007. 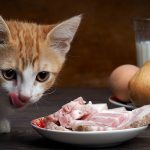 Food Allergy In Dogs and Cats: A Review. Critical Reviews in Food Science and Nutrition. Wills, J, Harvey, J. 1994. Diagnosis and management of food allergy and intolerance in dogs and cats. Australian Veterinary Journal. This article was very interesting. I have a cat who loves yogurt. He eats a good size teaspoon of yogurt a day. My milk is lactate. Is that okay for him to have a little each day. Very informative article. Yogurt is good for our intestine I am sure it is also good for our cat. Me and my cat have yogurt every day now it is 1 year now. She loves eating yogurt and egg yolk, both is her favorite. My cat loves yogart I give him a teaspoon once a day I try and make sure its Greek plain yogart but by accident I got vanilla Greek yogart and gave my cat a teaspoon after realizing that it wasn’t plain. I read here that it can cuz my cat problems and make him sick he dosent show any signs of it making him sick and his pooh is hard.So maybe it only happens to some cats not all. My cat is treated for diarrhoea. Can I give yogurt to cat.